You can see the single and triple Carbon Fibre Plenum upgrade desgined originally for kitcars; shown below fitted to Nigel Deans Dax Rush. Shown below further additional pictures of a single carbon fibre plenum as fitted to one of our engines being fitted a Rover MGB V8. 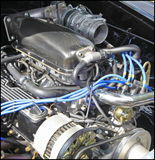 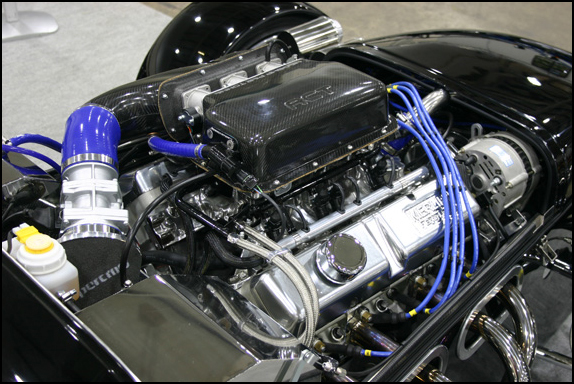 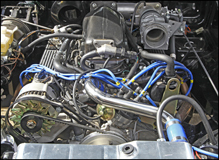 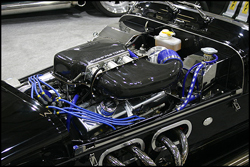 These injection systems can be fitted to many such Rover V8 vehicles, please contact us for further details - info@v8engines.com.